It’s been a while since I tested an Ultrabook. Yes the Surface Pro is built on Ultrabook standards but the simple fact is that if you want to get the most out of any processor you need to give it room to breath. The laptop form-factor, where fans are acceptable and screen backlighting doesn’t sit layered over the processor is the one to choose if you really need to get things done. 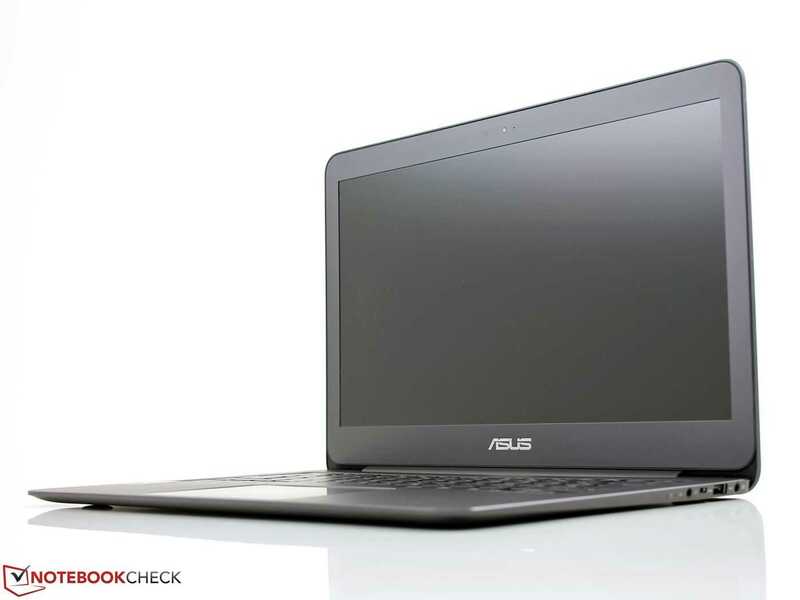 It’s been an absolute pleasure to run the ASUS UX305LA through its paces for a Notebookcheck Tech Review video and having done that, I now want one. 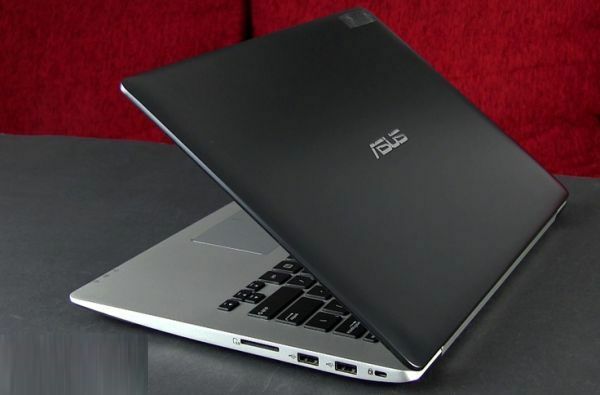 News Comments Off on ASUS UX305 with Core i7 is close to Ultrabook perfection. Color, BOOM! Offers, BAM! Hand-written signs, BLING! A great logo…WAIT A MINUTE! 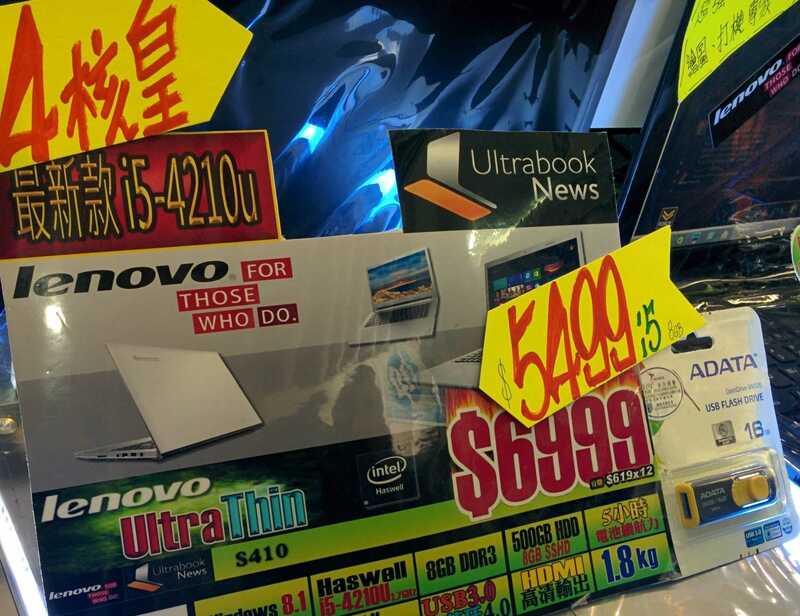 Yes its the Ultrabooknews logo being used to sell mobile PCs in Hong Kong. This isn’t the first time I’ve seen my logos being re-purposed but this time I’ve decided to play along. The old, very old UMPCPortal logo has now changed. As for the advertising, I think we’ll keep it a little cleaner here! The Dell XPS 13 always was a well-rounded Ultrabook but the 2015 versions with Broadwell are looking like no-brainers for people needing a highly mobile laptop. 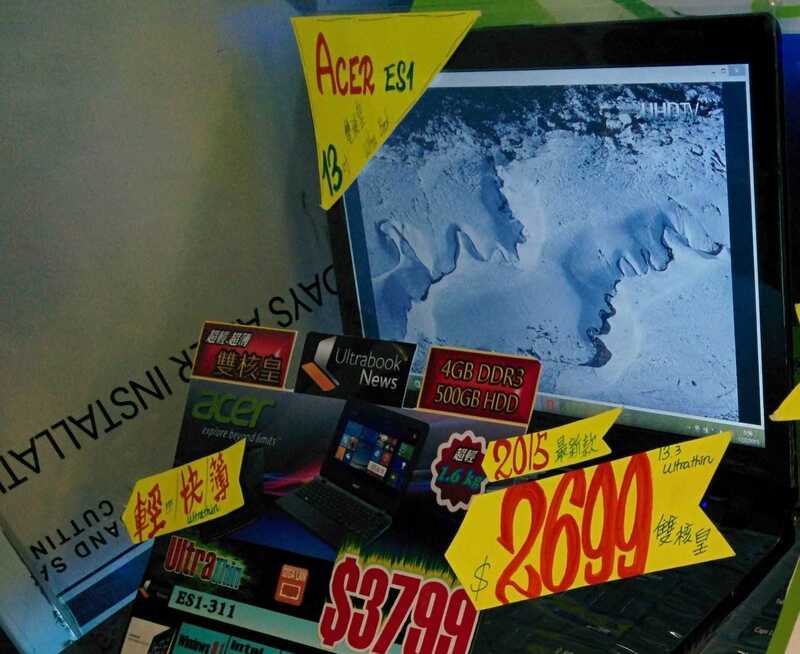 The entry-level price of $799 for a non-touch 1920×1080, a weight of 1.17 Kg (2.6 pounds) and a 54Wh put this at the top of a lot of lists. It looks fantastic too! Ultabookreview have just completed a full review of the new Dell XPS 13 and after reading the review you’ll probably have it on your wish list. Back-lit keyboard? Check! AC Wifi? Check! Touchscreen option? Check! 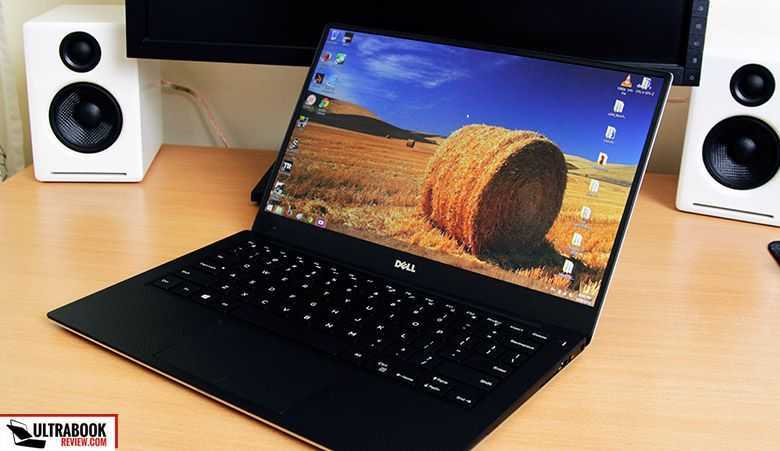 Ultrabookreview have the Dell XPS 13 9343 Signature Edition (Microsoft no-crapware version) with full-HD matte display and a Core i5 CPU with 4GB of RAM and 128GB of SSD which performed very well under the tests. Battery life is superb thanks to the 52Wh battery and, unlike Core-M based laptops it looks like entry-level desktop gaming is possible. Check out the review for performance figures for Dirt 3, Grid 2, Tomb Raider, NFS Most Wanted and Bioshock Infinite. Screen brightness was raised as an issue and I’ve spoken to Andrei, the reviewer, about this. It’s possible that he’s got a faulty unit as other reviewers are reporting good screen brightness. We’ll have to keep an eye on this as other reviews come in. Check out all the reviews and information in our Dell XPS 13 (2015) product page. There’s some heat under load and a slow-charging issue to take note of too. At under 1.2KG with 5-10 hours of true battery and this much processing power, for $899, it’s difficult to see anything coming close to the new Dell XPS 13 during the Broadwell lifespan, which could take us through most of 2015. If you’re getting close to choosing a new mobile laptop, read the review and bookmark our information page. 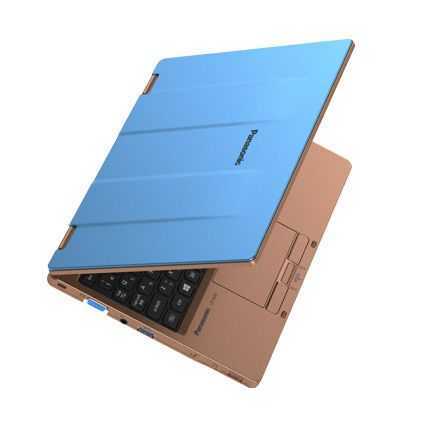 The NEC LaVie series of Ultrabooks has always led in terms of weight. The latest model, the LaVie GZ was the lightest yet and when I say light I mean as light as an 8-inch tablet with a Bluetooth keyboard. 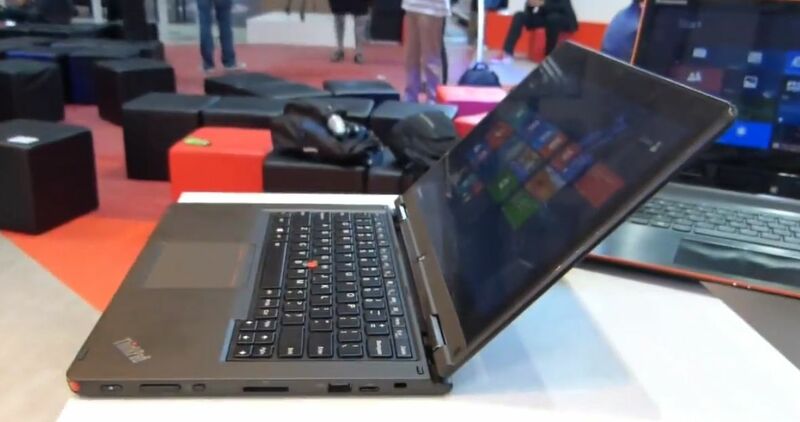 This 13.3-inch Ultrabook weighs just 794 grams. The problem is that it’s only available in Japan. 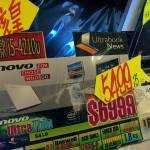 Lenovo and NEC are set to change that with a distribution deal that sees two new LaVie PCs under 1KG heading out of Japan to the USA. Let’s start 2015 with a post about a product that might not get beaten by the end of 2015. It’s a product that weighs less than the first touchscreen Windows UMPCs of 2006 and yet includes a Core CPU, full keyboard, 10-inch Full-HD touchscreen and 10+hr battery life. 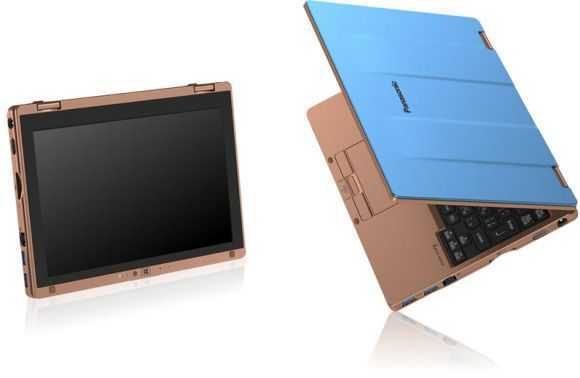 It’s the Panasonic RZ4 convertible and it’s the best engineered sub 1KG ultra-mobile PC out there. It’s expensive and difficult to get hold of but there’s technology in this product that you won’t find anywhere else in the market. I’ve had some hands-on with a similar Panasonic designbut the new RZ series takes it a step further than the AX2 of 2013. 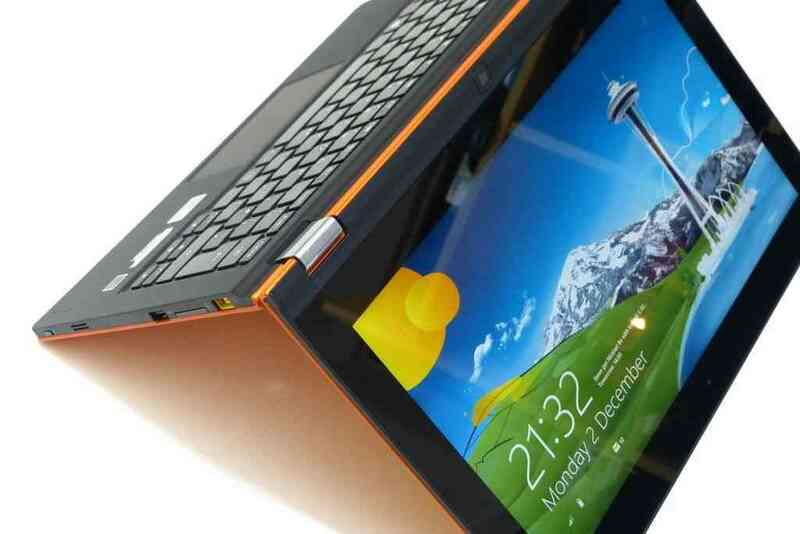 This convertible PC weighs just 1.64 pounds (745g) which is the same weight as the first 3G iPad. That’s the only comparison possible between the two devices because this Full-HD tablet is also a laptop that runs Windows 8 on a Core M CPU with a 128GB SSD. The cost is high for this ruggedized convertible with a hot-swap battery but it could replace a desktop PC if you’re not into high-end video editing or gaming and the premium versions come with 512GB SSD and a 3-year warranty. 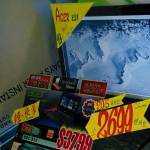 We’re looking at imports at Dynamism.com and the cost starts at $1749 for a 128GB with 2 year warranty (RZ4A/128.) 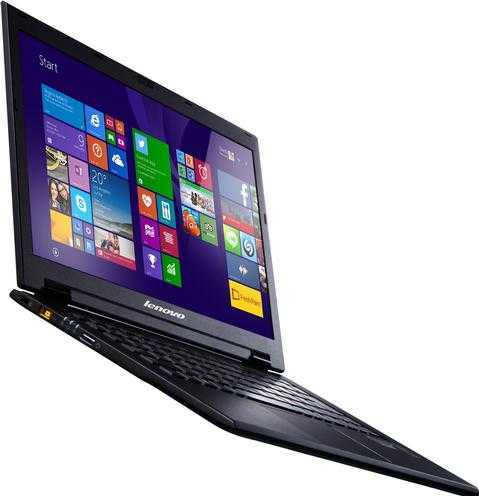 The premium model (Rz4A/512 with 8GB RAM, 512GB SSD faster Core M 5Y70, Windows 8.1 Pro and a 3-year warranty with accidental damage cover costs a heart-stopping $3799.90. Good engineering costs a lot of money, especially when it’s built to order. We’ve asked Dynamism to give us details on whether this is fanless and the exact battery capacity in Wh and we’ll update when we get that information. Update: There’s a fan. Battery capacity is 36Wh. We have a video hands-on by Mobilegeeks below. Yes it’s a bit late, but we did get our hands on some exciting devices at last month’s CES 2014 in Las Vegas and have some video for you to see. 1.3KG with 11.6-inch screen. If that’s outside your target range for an ultra mobile PC, move on. If not, pay close attention because the Yoga 11S is an interesting touch-convertible with a Core i3 CPU that turns in some excellent all-round performance figures. Battery life and quality are up there too and to top it all off, you can get it for $699. From video editing to 2nd-screen sofa activity, it’s highly capable. It’s easy to summarise the review that we’ve just published over at Ultrabooknews (in theory, this is an Ultrabook) by saying that the only thing you might not like about the Yoga 11S is that it doesn’t have the latest 4th-gen Core, Haswell, inside. WiFi performance could be better too but apart from that, there’s little to dislike. One interesting discovery is that the CPU performance, the raw number crunching performance, is no better than the Baytail-T performance on the Transformer Book T100. However, when you factor in the better GPU performance, faster memory bus, 4GB RAM and very fast SATA-SSD, you end up with a far more capable PC. It’s worth bearing in mind when looking at Baytrail performance tests. PCMark on the Yoga 11S with Core i3-3229Y is better than that on the Tramsformer Pad T100 with Atom Z3740 and that doesn’t include the fast video enc/decoder and some other features of the Core i3. 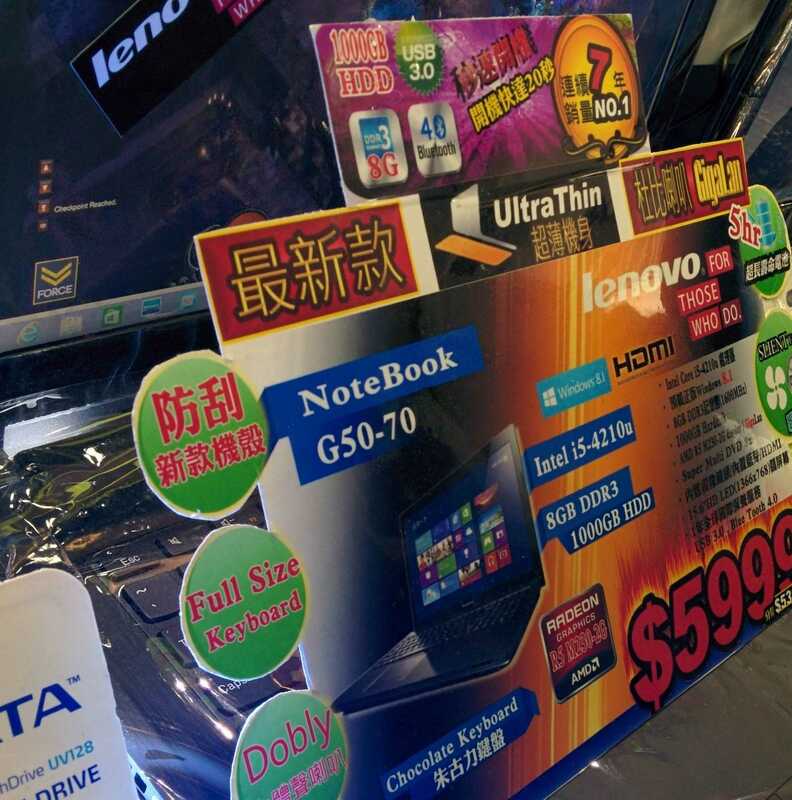 At $699 it’s worth considering if you’re in the market for a sub-notebook. 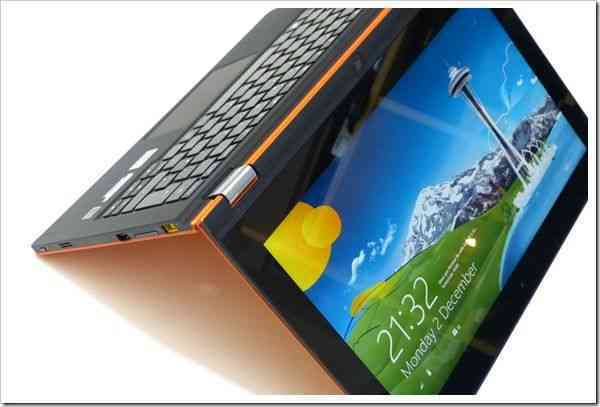 Oh, and the ‘Yoga’ fold-back screen feature is pretty good too. Check out the full review of the Lenovo Yoga 11S (We’ve also got a review of the Core i7 version which is 50% more powerful in some cases) over at Ultrabooknews. I’ve got a Sony Vaio Pro 13 here thanks to Intel. It’s the lightest touch-enabled 13.3-inch Ultrabook there is and at 1KG / 2.2 pounds it beats all of the the 2-in-1 options. This isn’t a cheap subnotebook but it’s got enough power to be a desktop PC for most people. The Ultrabook platform has proved that you can get power packed productivity in a thin and light package. The high dynamic range of today’s Ultrabooks means that you can go from long life web browsing out and about, to seriously heavy work like Photoshop and video editing at your desk, all on the same device. 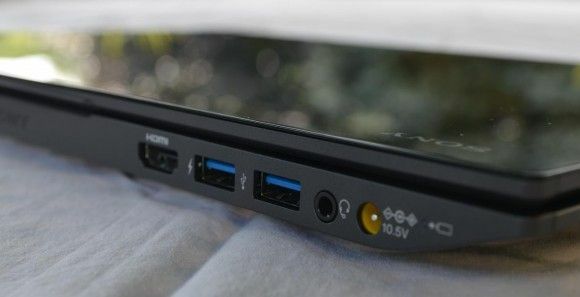 Using a laptop as a desktop in this way means that connectivity is important — two USB ports simply doesn’t cut it. 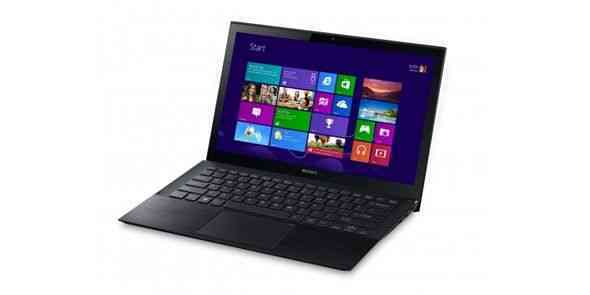 Ultrabooks with Intel’s new Haswell processors are here! 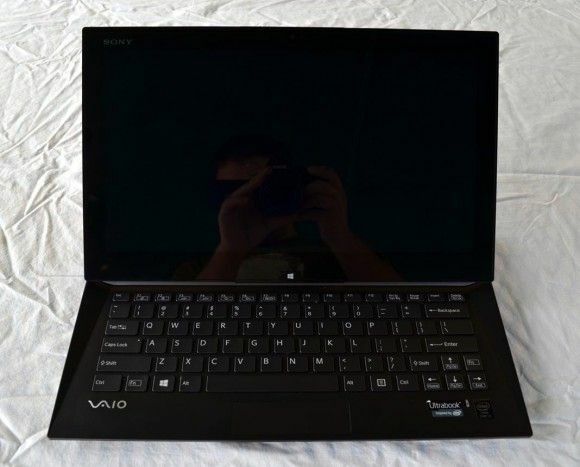 We’ve had the Sony Vaio Duo 13 on hand and are ready to give you the full review. Is this one worth your hard earned cash? We try to answer that question inside. Haswell powered Ultrabooks are continuing to enter the market and a newly introduced model from Asus, the 13″ Vivobook S301 has been reviewed by Ultrabookreview.com with a few interesting features.